For so many people, Spain is a place to visit when you just want to lie on the beach and sip cocktails. But there is so much more beauty to Spain that so many people miss out on. Spanish cities are vibrant and beautiful, I can’t recommend visiting them enough. And accommodation doesn’t have to be an issue, Interhome offers some cheaper choices if you’re looking to visit any Spanish Cities on a budget! As one of the most-visited cities on the planet, I had to begin with Barcelona. In many ways, this is the city that has it all. A wonderful seaside location and climate that means it escapes from the scorching summers of the south and centre. The nightlife complete with world-class nightclubs, bars and restaurants serving local and international cuisine is amazing. But words can’t really do it justice. I’ve visited this city twice and I still haven’t seen it all. If you’re put off from the latest political developments going on in Barcelona, understand the people who live in this iconic place are strong and are so friendly – please don’t be deterred. The capital of Spain may not be blessed with the ocean on its doorstep, but there is still plenty to fall in love with if you pay it a visit. First of all, for culture lovers, there are countless museums, landmarks and attractions, led by the world-famous Prado art museum. And then there is the sense of life that you get from wandering around the city, from the 400-year old Plaza Mayor to the Bernabeu stadium, home of Real Madrid FC. Spain’s Third City gets somewhat overlooked compared to Barcelona and Madrid. But in some ways, this is what makes a visit here so appealing. Home of the paella, you shouldn’t leave before you have sampled this quintessential Spanish dish from its source. As well as the cuisine, the city is a dizzying mix of beaches, music, history and culture. I visited Valencia a few years ago with my sister, and it’s one of my favourite holidays to date. Don’t miss out on the Turia gardens, which laps the city and is host to so many attractions, such as the giant aquarium (which is definitely NOT to be missed if you visit!). Down in Spain’s southern Andalusian region, there is a host of sights to explore. But you should not miss out on a trip to Seville, which has a little bit of everything. Pretty much every bar you enter will serve some variety of tapas, so you have endless choices when it comes to food. The lifestyle is ideal, and the street-side bars and restaurants are full-up into the early hours of the morning. And then there is the fact that Seville is a simply beautiful city. 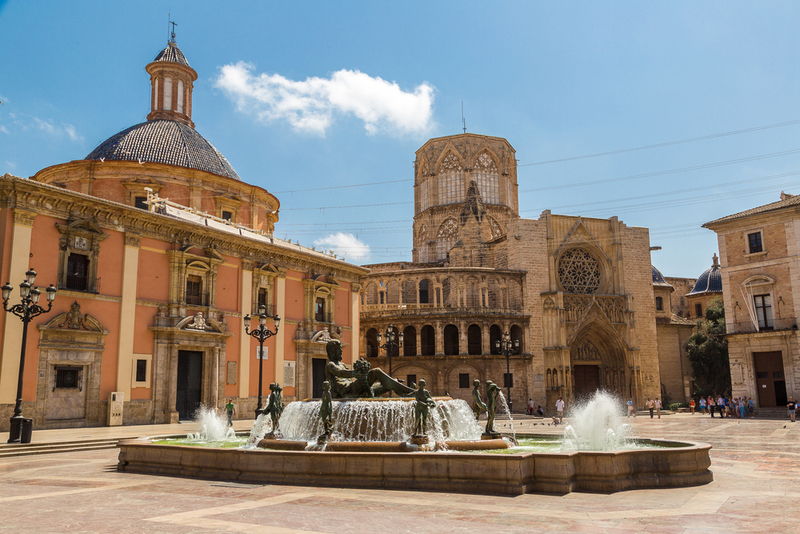 In the heart of the town, you have the world-famous cathedral and the Alcazar palace, a place so stunning that it was used as one of the locations in Game of Thrones. So, if a trip to a Spanish city is on the cards for you, these are just four excellent choices. If you get the chance, all four are more than worth a visit and will give you a flavour of just how diverse a country Spain really is.